The national carrier, RwandAir, yesterday welcomed home its eighth aircraft, which it says will boost capacity and efficiency of its operations. The brand new dual class Bombardier Q400 NextGen Turboprop Airliner, acquired from Toronto, Canada, touched down at Kigali International Airport at 5:15pm local time amid celebrations. 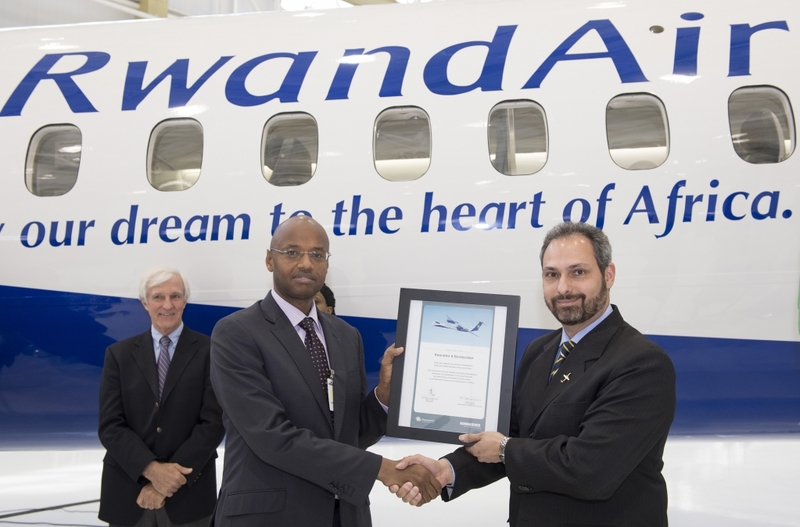 The 67-seater turboprop aircraft, that is fast, quiet and fuel-efficient, promises to provide the perfect balance of passenger comfort and operating economics with a reduced environmental footprint. 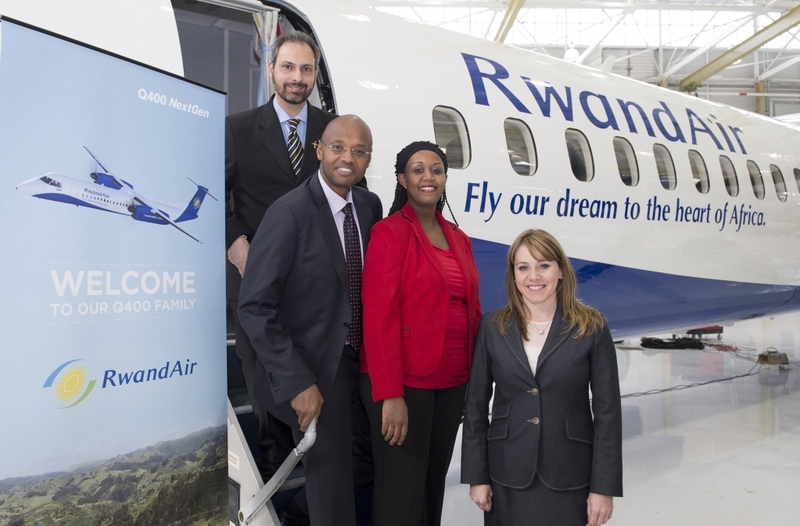 John Mirenge, the airline’s chief executive, said the new arrival will help enhance both efficiency and capacity, which, according to aviation experts, will increase the profitability of the airline. 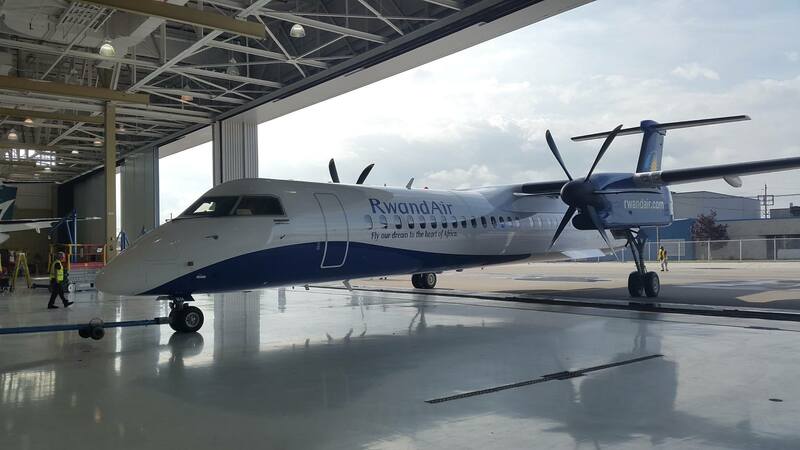 The new Bombadier takes the airline’s fleet to eight Next Generation aircraft serving its fast-growing network in the region and beyond, he said.